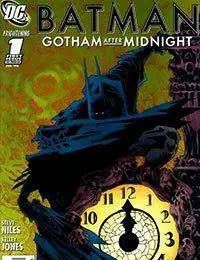 In this fatal first issue by the creative team of Steve Niles (30 Days of Night SIMON DARK) and Kelley Jones (BATMAN: RED RAIN), Batman will come face-to-face with the Master of Fear himself — but just what is the Scarecrow after? And what does it have to do with the Axeman? Could it be some elaborate scheme to trap the Bat? Be here at the beginning — and beware.